Three Billboards Outside of Ebbing, Missouri (Martin McDonagh, 2017) - Following the tragic death of her teenage daughter, Mildred Hayes (Frances McDormand) rents three large billboard signs with a controversial message directed at William Willoughby (Woody Harrelson); the town's Sheriff. However, not all of the locals are behind her decision - least of all Officer Dixon (Sam Rockwell), who is quick to wage war. Ok, I'm being a bit cheeky here. I'll put my hands up and admit I've already seen this film. In fact, I saw it back in November. But it was so fantastic that I've been impatiently waiting to see it again ever since. I'll save it for my full review but, directed by Martin McDonagh, you can expect a whole host of laughs, alongside some genuinely devastating and powerful scenes. A masterpiece from which I cannot wait to see nominated for Best Actress and Best Supporting Actor at this year's Academy Awards. 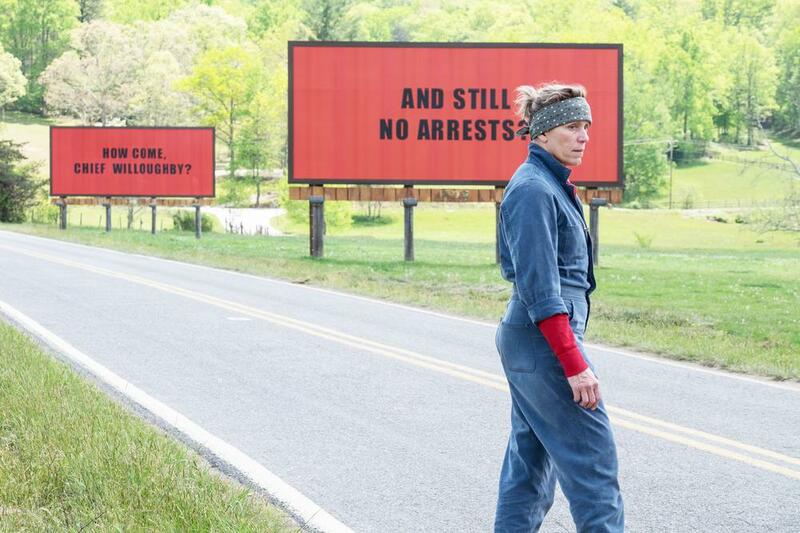 Three Billboards is in cinemas from January 12th - watch the trailer here. Lady Bird (Greta Gerwig, 2017) - Set in the early 2000s, seventeen year-old Christine 'Ladybird' McPherson (Saoirse Ronan) prepares herself for college, whilst juggling the pressures of family life and high school in Sacramento, California. You got me again. Yes, I've already seen it but I just had to include this film in my list because it needs to be seen. I have full confidence that Lady Bird to be a strong contender in 2018 - especially come Oscar season. I managed to see this back in December having heard stunning reviews and so imagined it not to live up to expectation. But it really did. To see Greta Gerwig writing and directing is a joy. Lady Bird is due in UK cinemas in February and you can see the trailer here. The Shape of Water (Guillermo del Toro, 2017) - Elisa (Sally Hawkins) is a mute living an isolated and simple life in 1960s Baltimore. Working as a cleaning lady in a secret government laboratory, her life changes forever when she discovers the lab's classified secret - a mysterious, aquatic creature. As Elisa's relationship with the creature develops, she hatches a plan to free it from the government facility. I'll admit that on paper, a human/monster love story is a bizarre sounding premise. However, it soon falls in to place when you learn that it is the brainchild of director, Guillermo del Toro. Famous for his stunning cinematography and fantastical narratives; and with such an incredible cast to back it up (Academy nominees Sally Hawkins, Michael Shannon and Oscar winner Octavia Spencer), I feel very safe entering in to this one come Valentine's Day. It's hardly surprising that it has already been nominated for 13 Oscars and 6 Golden Globes. Watch the trailer for it here. Solo: A Star Wars Story (Ron Howard, 2018) - We don't have much word on a fixed plot yet but Solo: A Star Wars Story is a stand-alone Star Wars anthology which will follow Han Solo (Alden Ehrenreich) prior to the events of A New Hope (George Lucas, 1977). We can expect to see it the adventures of a young Han Solo and Chewbacca as they go on to meet Lando Calrissian (Donald Glover). Also confirmed to be starring is Woody Harrelson, Emilia Clarke, Thandie Newton, Phoebe Waller-Bridge, Joonas Suotamo and Paul Bettany. I'll be honest, despite this being a Walt Disney Pictures production and being directed under the watchful eye of Ron Howard, I have my doubts about this film. 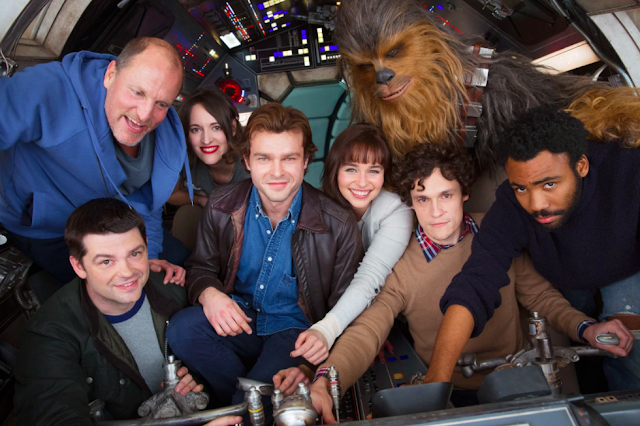 Of course, as a huge Star Wars fan I hope it is as amazing as it sounds on paper; I mean, just look at that cast. But perhaps when a first trailer is released my nerves will be settled. Solo: A Star Wars Story is due to arrive in cinemas in the UK in May 2018. I, Tonya (Craig Gillespie, 2017) - Despite a rough start in life, Tonya Harding (Margot Robbie) has risen through the ranks of competitive figure skating to emerge as the best in the world; only to find her career disgraced when her husband arranges to eliminate her rival. Having watched the trailer for this, I already know I'm going to life it. Combining comedy with a dark narrative and Coen Brothers-esque cinematography is clear sign that this one is going for Oscars gold. Not to mention what is sure to be a show-stopping performance from Alison Janney, as well as Margot Robbie. 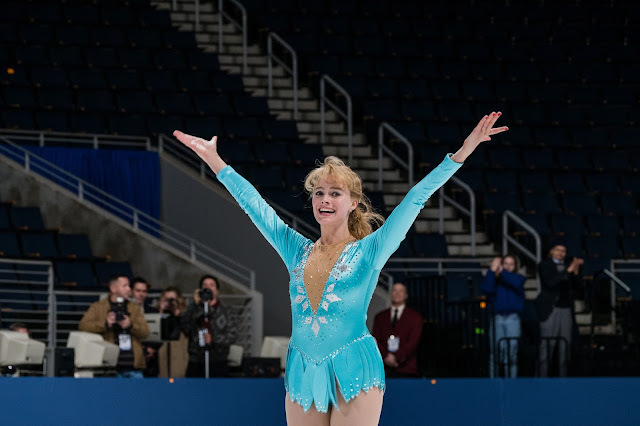 I, Tonya is due to reach UK cinemas in February 2018 and you can watch the trailer here. Avengers: Infinity War (Anthony Russo, 2018) - As super-being Thanos (Josh Brolin) arrives on Earth, the Avengers must rally all of the superheroes in the galaxy to defeat him. Although still divided following the civil war between Captain America (Chris Evans) and Iron Man (Robert Downey Jnr. ), the heroes must be willing to sacrifice everything in order to save the Universe. This is what it's all been leading to. All the origin stories, all the sequels and wars have all been in preparation for this film. Again, I can't help but feel a little bit sceptical about it's success; the superhero genre feels to have been exploited too far now. However, I did does fill me with confidence to know that Russo is in the directors chair. I will, of course, be there to see how this one plays out and hoping to be pleasantly surprised. 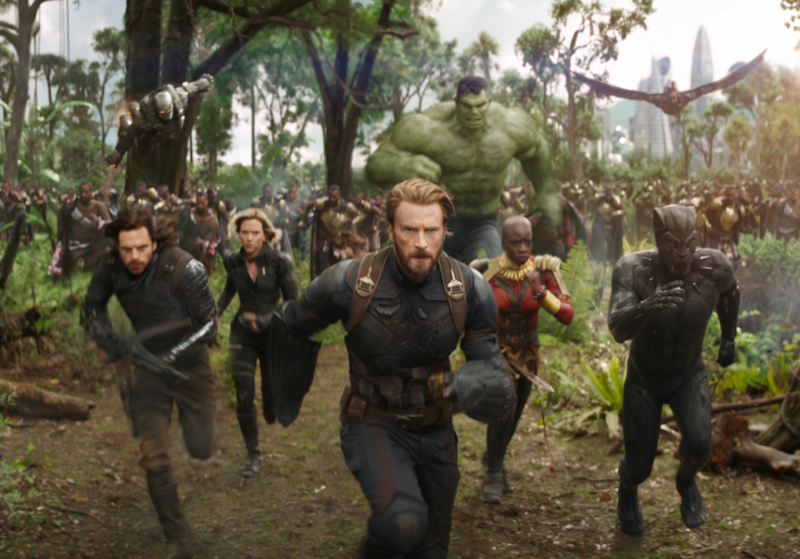 Avengers: Infinity War hits UK cinemas in April 2018 - watch the trailer here. 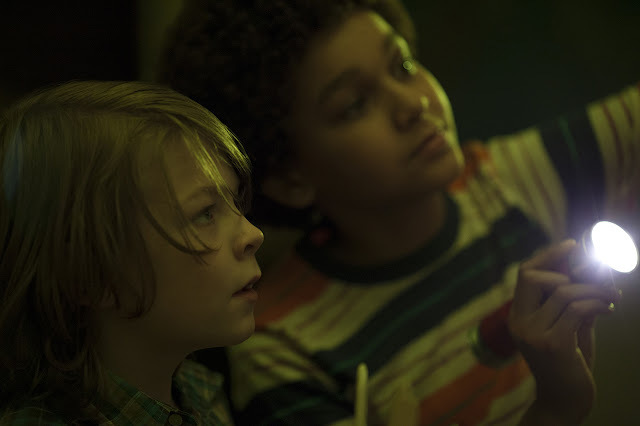 Wonderstruck (Todd Haynes, 2018) - The story of a boy, Ben (Oakes Fegley), is told along side Rose (Millicent Simmonds), a young deaf girl living in New York fifty years apart. As their stories progress, it becomes clear that they have a mysterious connection. I've heard little of this film so far but from the trailer and Todd Haynes (Far From Heaven and Carol) in the director's chair, I just have a feeling it could be something special. With Michelle Williams and Julianne Moore also set to star, this is certainly top of my list to see in 2018. Wonderstruck is due in cinemas in April 2018 and you can watch the trailer here. Ocean's 8 (Gary Ross, 2018) - Having just been released from prison, criminal mastermind, Debbie Ocean (Sandra Bullock), recruits the help of seven female thieves to pull off the heist of the century at New York's annual Met Gala. Their goal is to steal a necklace worth more than $150 million. What could possibly go wrong? Sandra Bullock, Cate Blanchett, Anne Hathaway, Sarah Paulson, Helena Bonham Carter, Katie Holmes, Rihanna, Mindy Kaling and Dakota Fanning. And Gary Ross in the director's chair. Need I say more? Of course, if this is half the film it is on paper than Ocean's 8 is set to be an absolute triumph. Naturally, the skeptic in me is worried that this could take a tragic Ghostbusters (2016) turn but here's hoping that 2018 truly is the year of woman. 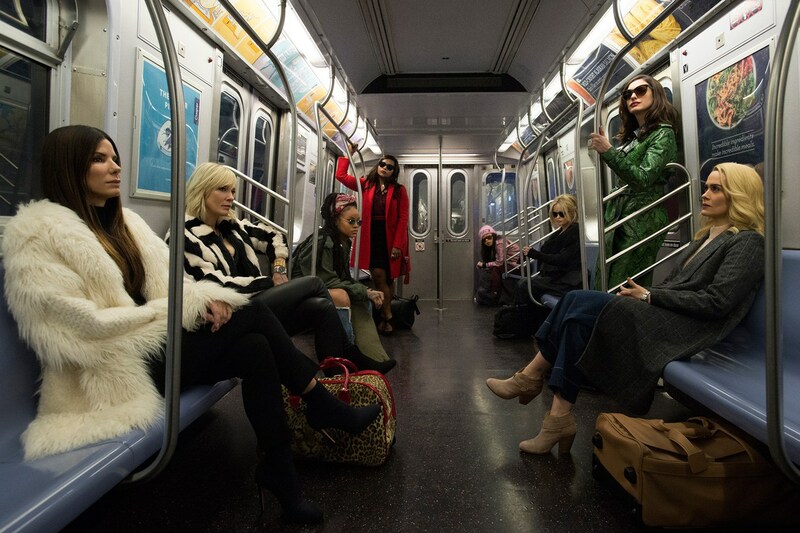 Ocean's 8 is due in UK cinemas in June 2018 and you can watch the trailer here. Isle of Dogs (Wes Anderson, 2018) - Set in the future, an outbreak of canine flu leads the mayor of a Japanese city to banish all dogs to a remote island. However, the furry outcasts soon embark on an epic journey when a young boy arrives to find his beloved companion. In true Anderson style, this film is voiced by some of the best in Hollywood. As well as his usual crowd including Bill Murray and Ed Norton, also starring in this mesmerising stop-motion animation is Frances McDormand, Jeff Goldblum, Greta Gerwig and Scarlett Johansson. I'm thinking Fantastic Mr. Fox meets Homeward Bound and that's a that's enough for me. 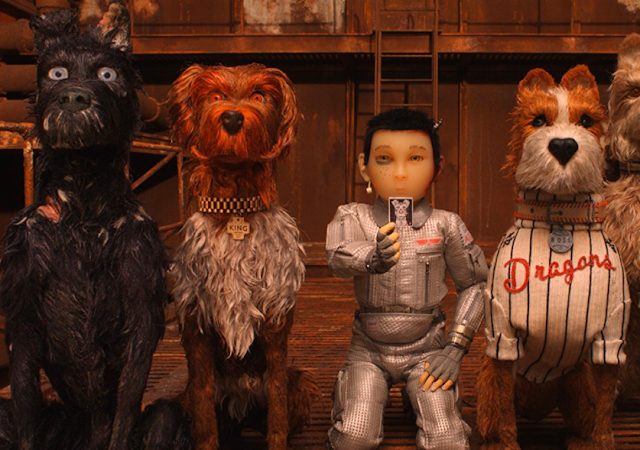 Isle of Dogs hits UK cinemas in March 2018 and you can see the trailer here. First Man (Damien Chazelle, 2018) - A biographical drama exploring the life of astronaut Neil Armstrong (played by Ryan Gosling) and the legendary space mission that led him to become the first man to walk on the Moon on July 20, 1969. 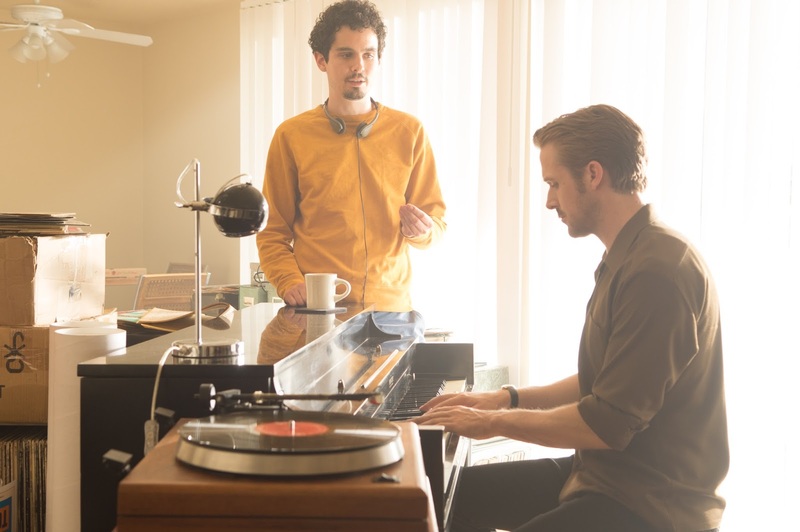 OK, so we have no trailer, no poster or any information on this particular film yet but with Damien Chazelle directing Ryan Gosling and Claire Foy, I'm already super excited. In my head I'm picturing stunning visuals with the intensity of Whiplash (2014) and the heart of Hidden Figures (2017). Also confirmed to be starring in this are Jason Clarke as Edward Higgins White and Corey Stoll as Buzz Aldrin. First Man is due to be released in the UK in November 2018. The Man Who Killed Don Quixote (Terry Gilliam, 2018) - A deluded old man convinced he is Don Quixote (Jonathan Pryce), mistakes a advertising executive for his trusty squire, Sancho Panza (Adam Driver). Together, the pair embark on a bizarre journey, travelling between the 21st and 17th century. With 17 years in the making, this has certainly been a labour of love for director Terry Gilliam. 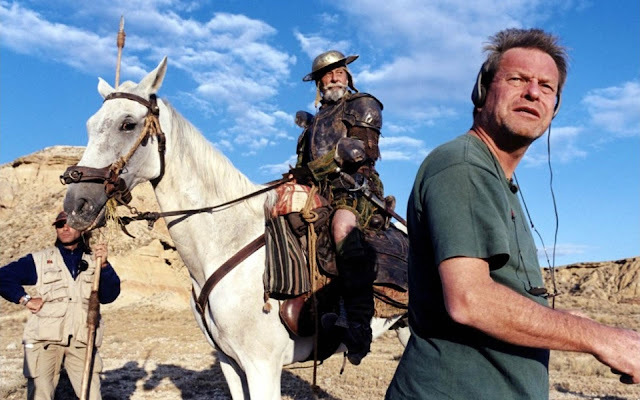 Having originally first tried shooting the movie years ago, starring Johnny Depp, this has proven to be an example of production hell at it's worst for Gilliam; one which was so beautiful documented in Lost in La Mancha (2002). I'm so pleased to finally see it getting released and can't wait to see the final piece, which is rumoured to be in UK cinemas in November/December. Well, that's it for my must-see films of 2018 but tell me, which movies are you dying to see this year and why? Have I missed any off of my list? As always, I love reading your comments so please do leave me lots of lovely ones down below. Eeeeep!! I'm soooo excited to see Three Billboards! The Shape of Water is one of my favorites as of late, and I'm also looking forward to seeing Lady Bird! Ugh it's SO good! I can't wait for other people to see it so I can finally discuss it haha. I'm seeing The Shape of Water next week and I have such high hopes - it just looks beautiful! I've seen the first three and think they're all fine films. My favorite by far is Shape of Water. I think Frances McDormand is a fabulous actress but I put Sally Hawkins's performance above hers for a couple of reasons. First, Sally had to do her role without speech (her sign language has subtitles for the most part). Secondly, she expresses a more full gamut of emotions than Frances, imo. Frances's character has a great arc throughout Three Billboards, however. I am so impressed by del Toro's ability to create a complete world within his film in which I was completely engrossed. All the acting was top notch and I really liked the music throughout the film. 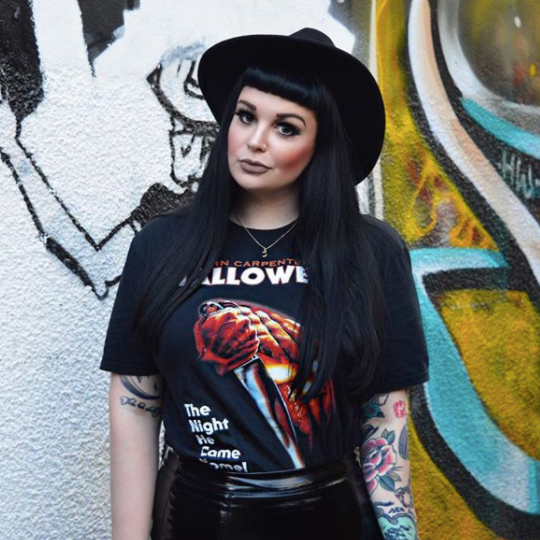 The film has a lot to say about American society regarding consumerism, civil rights, and prejudice and how these things affect various characters. Personally, I put Lady Bird ahead of Three Billboards mostly because I found the characters to be so relatable. There is a scene where the Laurie Metcalf character is looking at the price of something and you can see the stress on her face but she quickly lets it go and thinks they will manage. I feel I completely understand that character and all the wishes she has and how that comes into conflict with the type of life that Lady Bird wants to lead, which is so different from what her mother wants. Saoirse Ronan turns in a great performance as Lady Bird. I have three cousins who wanted to leave California to go to colleges in the eastern United States, which they did, and I feel I have an insight into that character. I love the live action Wes Anderson films more than his animated Fantastic Mister Fox so I'm not sure if I'm so excited about Isle of Dogs. I also saw the trailer for it before Shape of Water. Another trailer I saw before Shape of Water is Call Me By Your Name (your 2017 top 8) which looks good so I am trying to find out where I can see that. Ocean's 8 and Avengers are definitely the ones I am looking fwd to! 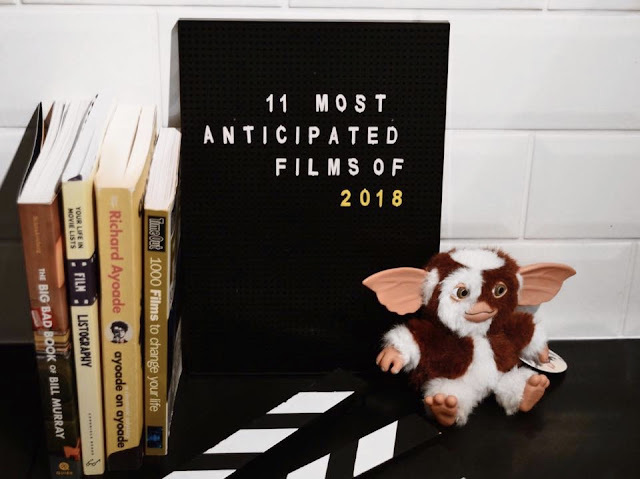 Exciting year for film! I love kicking back at the cinema. Three billboards looks pretty good, and I really want to see Ladybird now! Thanks for sharing this! So excited about these! I'm so pathetic; when I found out Donald Glover was playing Lando, I burst into tears (in the pub)! Everything Frances Mcdormand touches is gold and I have a huge soft spot for Sam Rockwell too so I'm particularly excited about 'Three Billboards'. OMG they all look and sound amazing. I for one am very excited about the new Halloween movie! Big fan over here! I absolutely loved Three Billboards and I am soooo excited for I, Tonya! Ladybird sounds great too and I think we're going to see The Shape of Water sometime this week. Will definitely have to have a proper look at some of the others you have shared too. Ooh so many good films to come this year! I can’t wait to have lots of cinema trips!! I am so so excited to see Ocean's 8 it no longer even makes sense to me. I think its Sandra Bullock, I've missed her on screen!